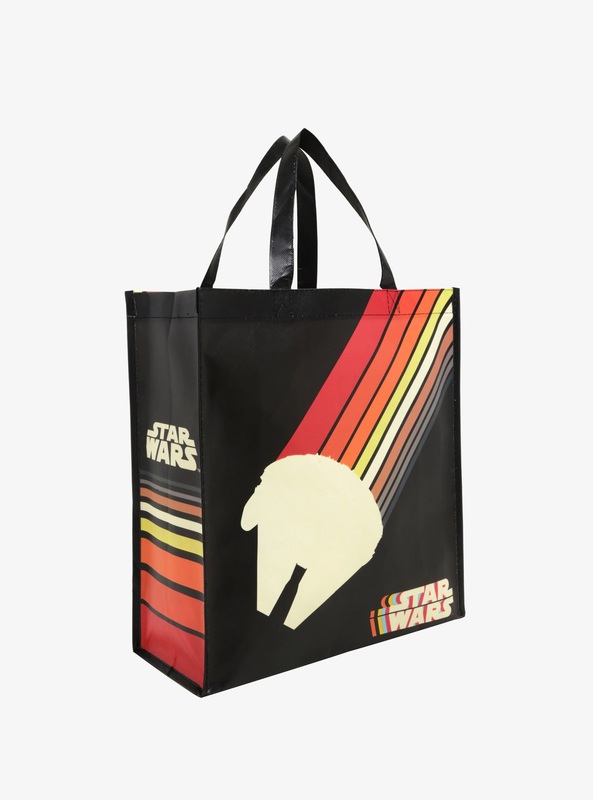 This new Star Wars Millennium Falcon reusable tote bag is now available exclusively at Box Lunch. 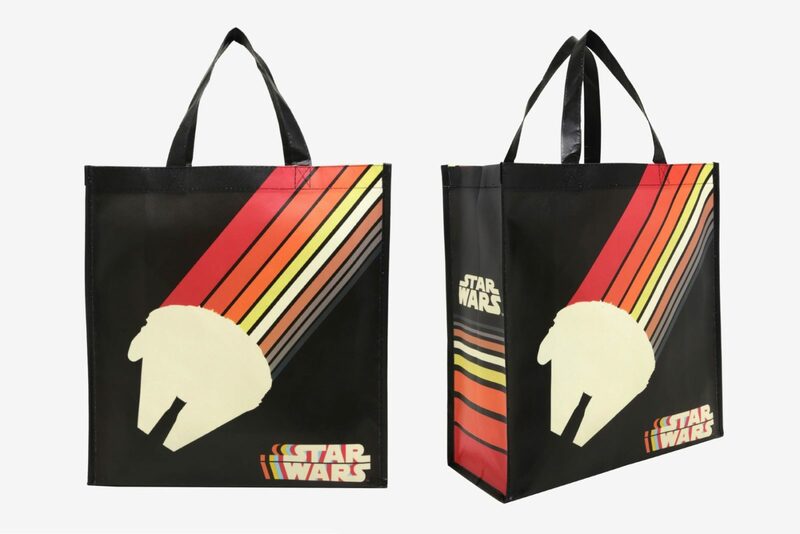 Made from 100% polypropylene, the black tote bag features the silhouette of the classic Millennium Falcon, with a warm-toned line design trailing behind it. 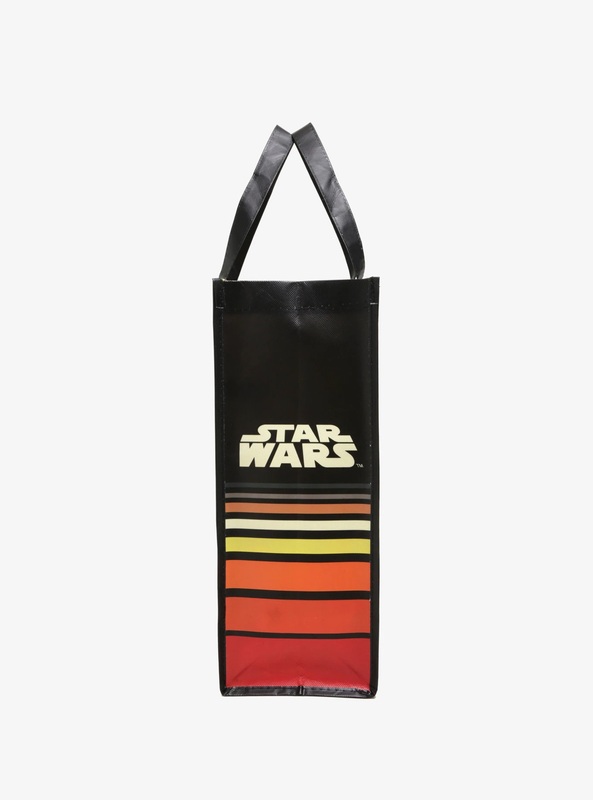 The bag measures approximately 13 1/2″ by 13 1/2″. 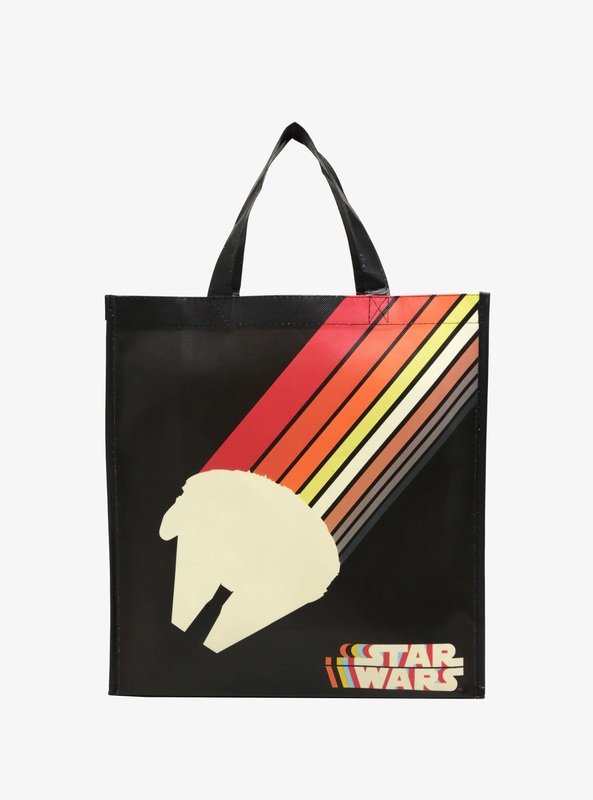 The tote bag is priced at US$6.90 each – Box Lunch can ship internationally, which is great!